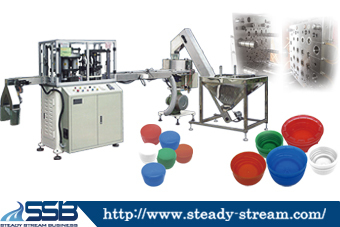 SSB can help you set up your 3025 cap production line. We will provide you 3025 cap mold, Injection molding machine for 3025 cap and the slitting machine for 3025 cap. We need you to provide your drawings or samples of you caps. Also your required production quantity per month.